A tree-filled corner of the village green in Kennebunkport is dedicated to Barbara Bush in a surprise ceremony. 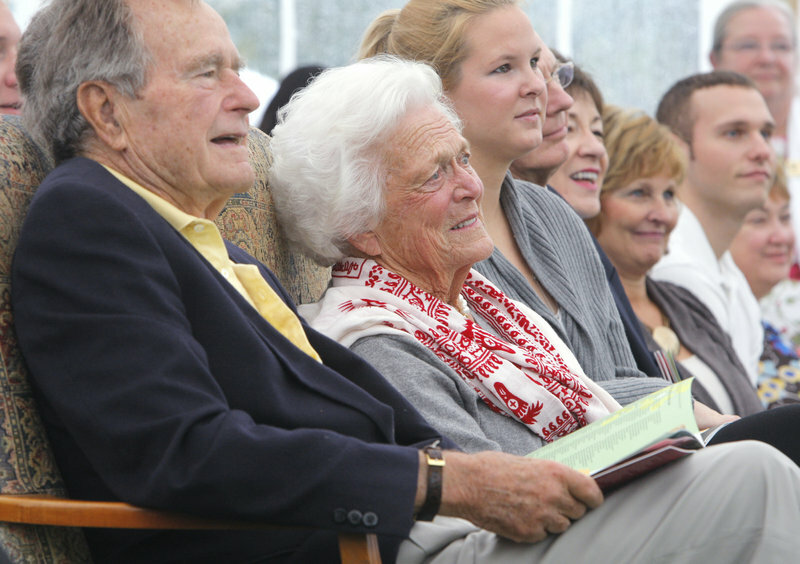 KENNEBUNKPORT – Straight from the hairdresser, former first lady Barbara Bush was dropped off Thursday at the village green, where she was surprised by nearly 100 people at the dedication of a town garden in her name. 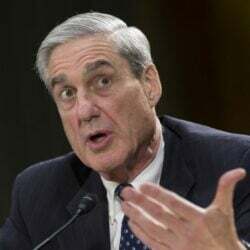 “I’m shocked!” she said of the reception. The garden, located in a corner of village green, is on a section of Ocean Avenue between the town center and Walker’s Point, the Bush’s oceanfront compound. She’s been watching the work on it progress for weeks. 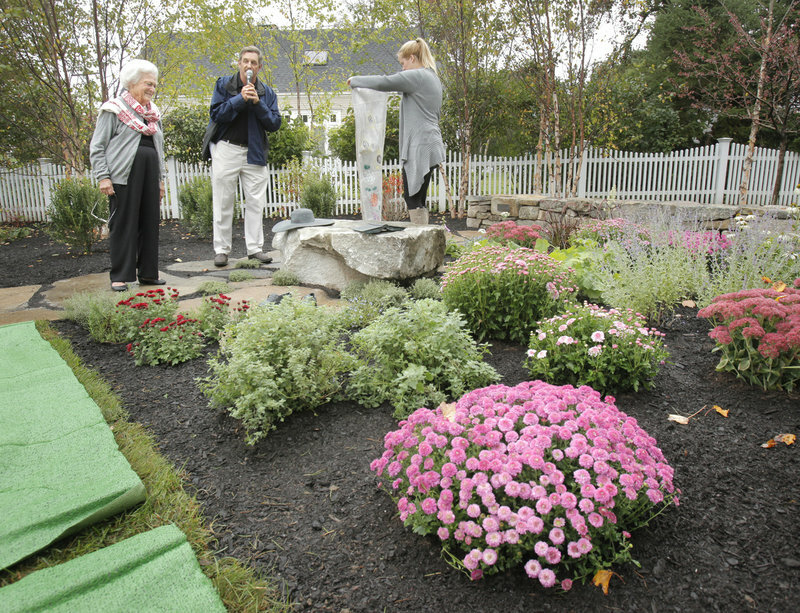 Scores of residents contributed to “Ganny’s Garden,” named for her nickname to her 17 grandchildren. It was created to recognize Barbara Bush’s commitment to the community and her longstanding support of children’s health care and literacy. She is also an avid gardener. The garden contains 17 trees to represent her grandchildren, and their initials are engraved in stones set in a rock wall that serves as a border. Barbara Bush herself is represented by bronze castings of a floppy hat, her favorite novel “Pride and Prejudice” and a pair of Keds. “This garden is a living, lasting monument to a great lady and a wonderful family,” said Sen. Susan Collins, who spoke at the dedication. Also at the event were former president George H.W. Bush, the couple’s granddaughter Marshall Bush and Gov. Paul LePage’s wife, Ann, and son Paul. The Bushes are still the first family of Kennebunkport, and their home there has been a tourist attraction since Bush’s presidency. Around town, Barbara Bush is known for her casual nature — making friends with dog owners who walk Kennebunk Beach in the morning or complimenting the women working in the Monument Garden in Dock Square. Speaker Alicia Spenlinhauer told the story of meeting the Bushes for the first time. Barbara, she said, criticized her for wearing an unsightly baseball cap, but Spenlinhauer had a comeback, noting Barbara Bush’s mismatched Keds. But there is a story behind those shoes: Barbara once complained about not being able to find Keds, so her husband bought her 24 pairs for her birthday about 20 years ago. At Thursday’s event, she was presented with a new supply of Keds, which she is known to mix and match for fun. “I love watching children’s faces as they poke their mothers and point,” Barbara Bush said. After she toured, Barbara Bush thanked everyone, for the garden and their hospitality.